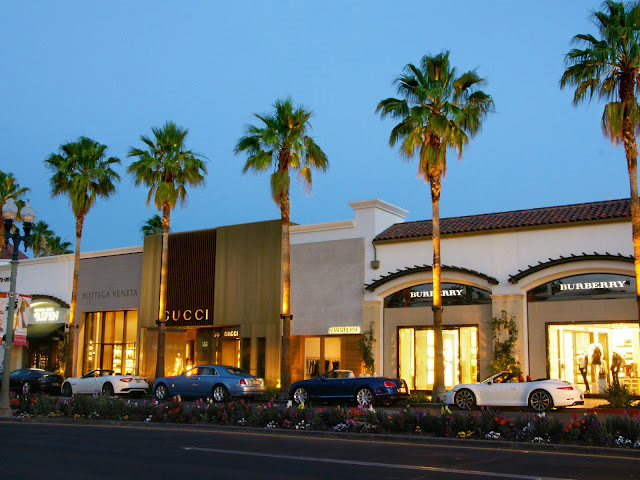 referred to as the el paseo shopping district in palm desert, ca., el paseo is more of a walking street than a proper district. make that a strolling, eating, shopping, people watching street. it's real destination shopping. a bit further than palm springs from los angeles, el paseo more than makes up for the extra drive. so you keep going. and then you see it. a small oasis in the sprawl that is the desert. woah! and where did that come from? for those with deep (make that very deep) pockets, louis vuitton, gucci and burberry, among others, will keep you busy. for those that don't, there are options for sure. my favorite is a small, beautifully edited "something for everyone" shop named blonde. great jeans, fun tanks and tees, luscious cashmere and jewelry along with an amazing assortment of kai makes for a homerun every time. need to buy a gift? easy enough. but you come out with one for them and two for you. blonde is that kind of place replete with an easy going, thoughtful staff lead by the lovely, knowledgeable owner michelle. a family owned boutique, you just might be lucky enough to meet her equally lovely mom, virginia, in the store as well. go hungry! with a mastro's outpost, a sushi place to die for, and out of this world homemade biscuits and cappuccino at wilma & frieda's, you won't be disappointed. 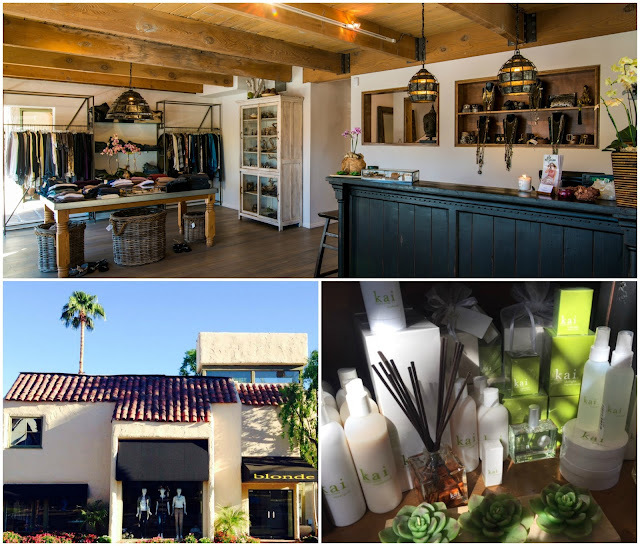 with seemingly endless music festivals and a world-class tennis tournament, you have more than a couple of reasons to visit the desert and now a reason to visit el paseo. p.s. there's even an open air shuttle to take you from one stop to the next.